Almost every homeowner embarks on a home remodeling project of some kind. And if it's a DIY project, there is a lot to consider before grabbing your tools! 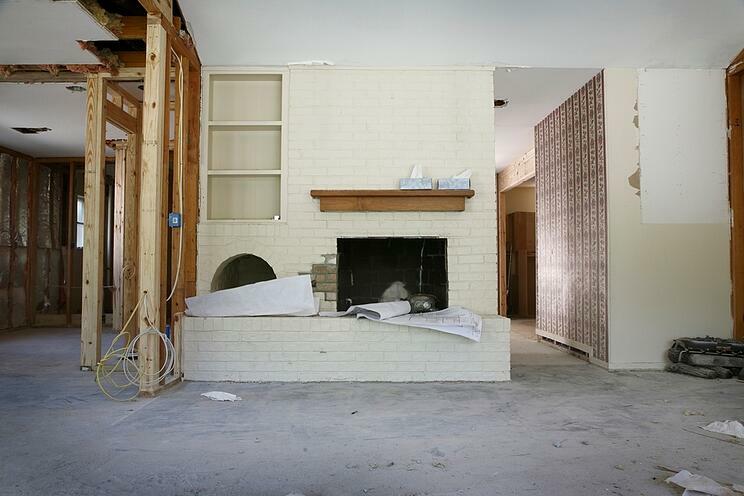 Any home remodeling project can seem overwhelming, no matter how small. But it's guaranteed to go more smoothly if you know a couple of insider tricks. And you can help your home renovation go smoothly - and stay on budget - with good advice from the pros. Here is a collection of tried-and-true tips from home remodeling experts and professionals. Don't work without a plan. And not just a design plan. Have a plan of action that is scheduled, detailed, and as complete as you can make it in advance. Whatever you do, don’t start a remodel without a detailed floor plan. While you may be able to complete a project without a plan, if you want to do avoid major issues you should consider hiring a designer. In fact, some projects require an architect to help you come up with a good plan. Making product selections early in the process can prevent delays later on. If you want your remodel to go well, the best thing to do is make all the necessary decisions before work starts. A good builder can advise you of the situations that might come up on your job. Most of the issues, however, are related to things like paint, trim and faucet selection. Delays in getting materials can escalate into bigger delays and rescheduling of vendors and contractors. Advance planning can also help keep you on budget. Know what you’re getting into with a project. Although remodeling can be exciting there's also a great deal of frustration when you encounter unexpected problems and delays. Also, there are inconveniences that come from living in a construction zone. In fact, it can be quite difficult living without a kitchen, for example. You can minimize inconveniences by setting up a temporary place away from the construction area. Don't start work without a contingency fund. You will most likely find that the work you want to do costs more than you expected or budgeted. Don't feel bad - almost no one manages to set a realistic budget for a project, especially homeowners. The key is to not use your contingency fund to "stretch the budget" on your project. If you follow rule number one and make every decision ahead of time, you can probably manage with a 5 to 10 percent contingency fund if all goes well. Don't spend time and money on a home that needs far more than cosmetic fixes. Although it's not likely, there are times when a house should be torn down rather than put money into trying to fix it up. For example, installing new kitchen cabinets in a house with a sagging foundation, or a high-efficiency HVAC system in a house with no insulation. If in doubt, have a trusted builder give you an assessment. Don't make a lot of changes. Even though it's likely that you'll change your mind about something on your project, keep in mind that each change costs more money. Although the change itself may seem minor, there are always added costs and often the scheduling will be impacted, as well. This is not to say that you are shackled to your original plan, but know that changes cost time and money, so consider them carefully. Don't buy your own materials. While it seems like a way to save money because the contractor will mark up the cost of materials, he or she may get a better price than you to begin with and, even after their markup, you'll pay about the same price. Secondly, don't be a distraction. Every minute a contractor spends talking to you is a minute not spent working on your house. Keep the conversations to a minimum and focused on the work. One of the inevitable realities of any remodel or renovation is the need for continual clean up. One option is to rent a dumpster for collecting an disposing of any and all your project debris. 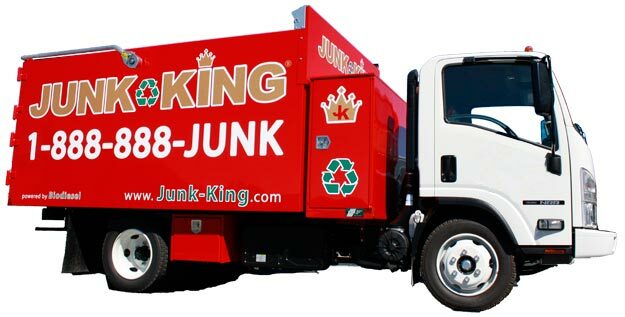 And now you have the option of using mini-dumpster drop-off services from Junk King. Homeowners can now rent and load these revolutionary Mimi dumpster boxes. Equipped with special polycarbonate wheels, these driveway-friendly boxes will arrive on-site without causing damage to a driveway or property. These rental boxes are great self-service dumpsters for work projects, home renovations and other types of cleanups. And the small size offers a dumpster that is compact, affordable and easy to use. No matter what size the project is, or how long it might take, having the convenience and flexibility of a MINI Dumpster for your junk hauling needs is a great option. The cost is often prohibitive. The space that is taken up can be inconvenient and obstruct driveways or parking lots. Traditional dumpsters also are unsightly eyesores that sit in your yard or parking lot for days, attracting unwanted animals and glares from your neighbors. Finally, you often will be charged separately for any labor that goes into a dumpster rental. With the MINI Dumpster, however, these issues are either eliminated or minimized. The smaller size and quick delivery and pick-up service makes this dumpster the right choice for those larger junk hauling needs. Whether you are reconstructing a home or preparing for a move, we provide our customers with the tools they need to clear away unwanted clutter. From a warm and friendly crew that will do the heavy lifting for you to a fleet of mini dumpsters that allow you to do it yourself.